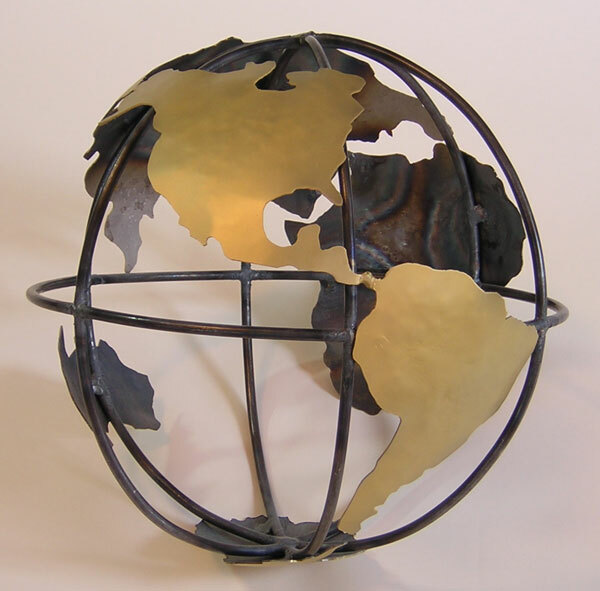 This started out as a simple armature of a globe, then I just kept going. I am a lover of maps, and some maps bear the legal disclaimer, "Not for use in navigation". I may build a larger globe in the future, perhaps made of copper for out of doors. The finish is powdered metal.